06h00: Car and guide pick up at Old Quarter and Hanoi Opera House and depart for Ha Giang. 11h30: Have lunch in Ham Yen – Tuyen Quang and rest. 12h30: Continue to Yen Minh City. 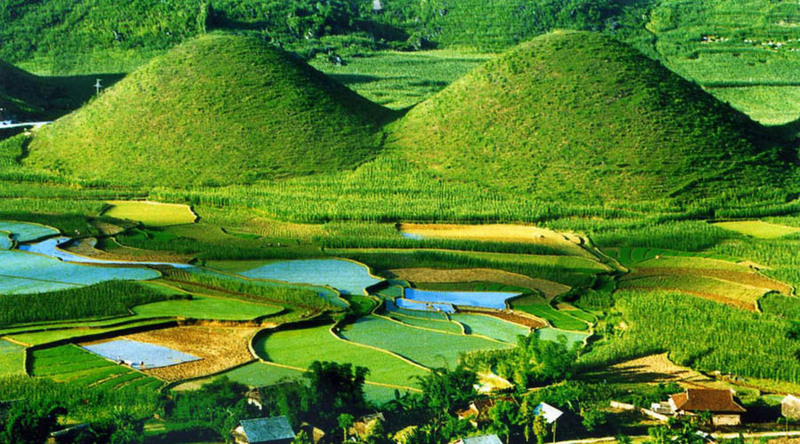 On the way you are introduced to Quan Ba ​​Heaven Gate and stop at the Quan Ba stops to view Breasts Mountain. 18h00: Arrive in Town of Yen Minh, check in and dinner. Overnight in Yen Minh. 06h00: Check-out, breakfast and depart for Dong Van. 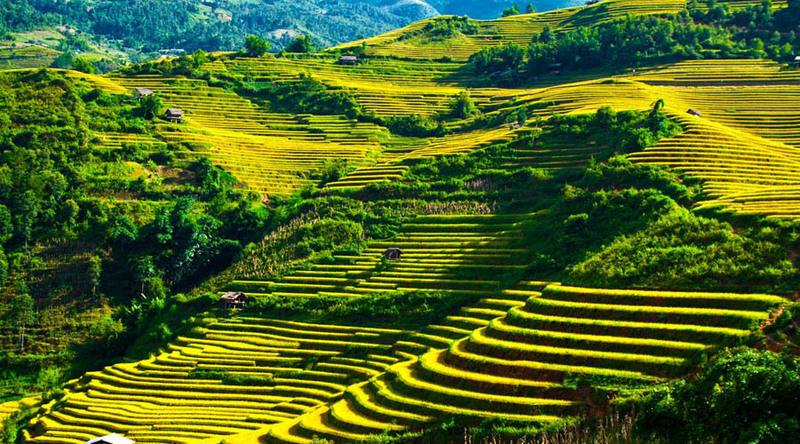 Along the way, you admire the wonderful scenery of the Dong Van Highlands Geopark, visit Sung La village – which is used as a filming scene “Story of Pao”, visit the Meo’s King palace, Lung Cu Flagstaff – highest latitude of Vietnam. 12h30: Arrive in Dong Van town, have lunch. Then the tour guide take you to visit around of Dong Van Old street, rest with a cup of coffee (expenses excluded). Continue Meo Vac, on the road you are crossing the Ma Pi Leng Pass – called Happy road. Admire the majestic beauty of the Ma Pi Leng canyon 800m deep and the Nho Que River below. 18h30: Back to Quan Ba. Dinner then check in and rest. Overnight in Quan Ba. 06h00: check-out, breakfast and shopping at the Quan Ba Market. 12h00: Have lunch at Ham Yen – Tuyen Quang. 17h00: Arrival in Hanoi, tour ends. Hope to see you again. – Cars 7, 12, 16, 24 or 29 seats. – 05 meals, 02 breakfasts. – Entrance fees are included in the program.